Steven is a freelance tech writer and iOS Accessibility expert, based in the San Francisco Bay Area. His work has appeared in The Magazine, Macworld, TidBITS, and more. He also writes for his personal website, Steven’s Blog, and co-hosts a weekly podcast, Accessible. While the convenience factor of shortcuts is appreciated, an important aspect to their utility is accessibility. 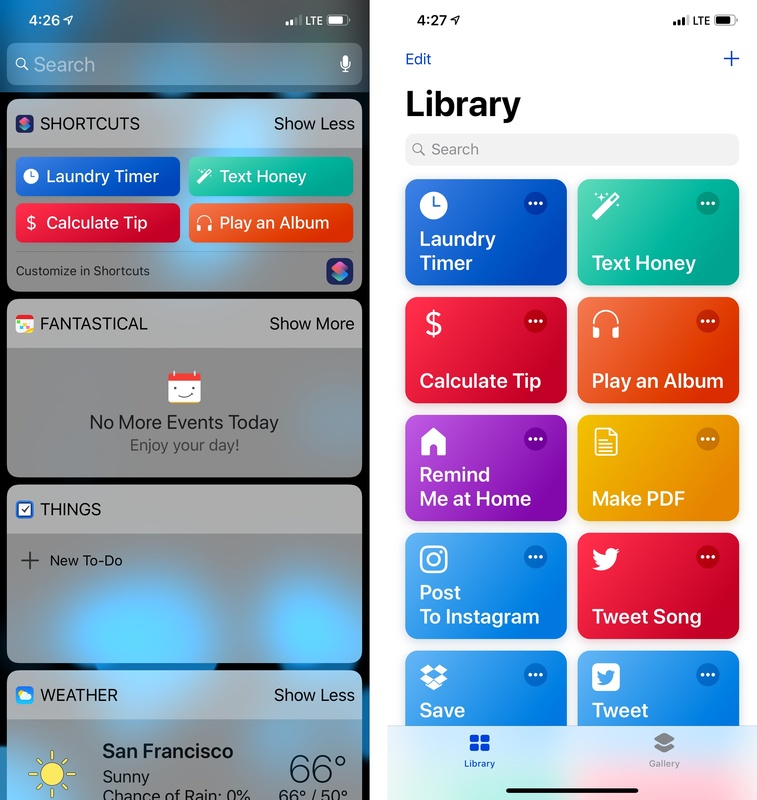 It’s a crucial aspect of the story around shortcuts, because while everyone loves a time-saver or two, these workflows also have the potential to make iPhone and iPad more accessible. In an accessibility context, shortcuts can be lifesavers in terms of reducing cognitive load, excessive swiping and tapping, and other common points of friction often met by disabled users. Before considering shortcuts as an accessibility tool, it’s important to understand their roots in order to properly frame them into perspective. 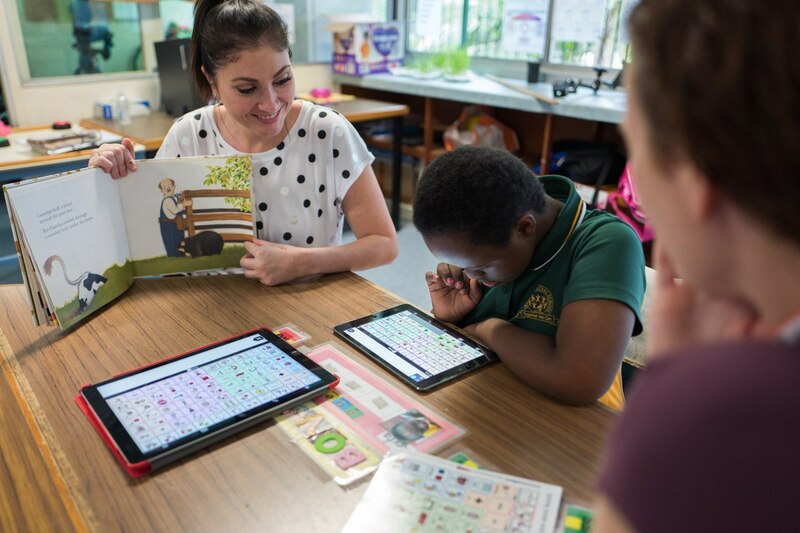 The idea that shortcuts, or workflows, can prove valuable as an assistive technology isn’t a novel one. 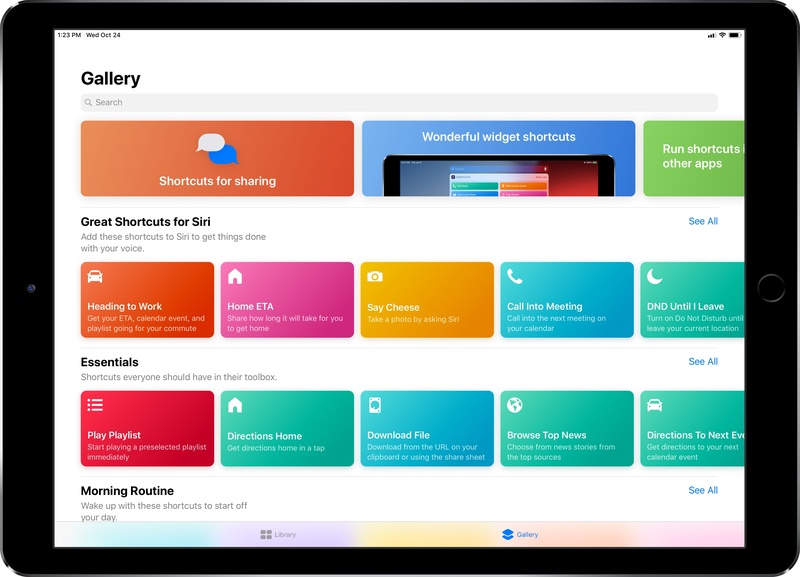 Workflow, on which the Shortcuts app is based, was acquired by Apple in early 2017. Two years earlier, however, Apple selected Workflow as an Apple Design Award winner primarily for its integration of iOS accessibility features. Ari Weinstein, who joined Apple to work on Shortcuts post-acquisition, told me in an interview at WWDC 2015 that he and his team received feedback from several blind and visually impaired users who were curious about Workflow and wanted to try it. As a result, the team felt adding VoiceOver support was “the right thing to do,” Weinstein said. To paraphrase Kendrick Lamar, Shortcuts got accessibility in its DNA. Given the history lesson, it’s not at all far-fetched to think the Shortcuts app would have appeal to disabled users. Like Overcast and Twitterrific, Shortcuts is an app built for the mainstream, yet it has the care and design sensibility to carry relevance for a variety of use cases, like being fully accessible to a blind user via VoiceOver. This isn’t small potatoes; given Apple’s commitment to the disabled community, it’s certainly plausible Workflow’s ode to accessibility made the app all the more desirable. As I reported during WWDC, Apple’s focus this year, software-wise, marked a departure from how they’ve traditionally approached accessibility enhancements. Unlike past years, there were no new discrete accessibility features for any platform. (AirPods with Live Listen is close). Instead, Apple chose to hammer on the idea that the tentpole features (e.g. Group FaceTime in iOS 12, Walkie-Talkie in watchOS 5) can be enabling technologies. The overarching theme of the conference was that the new features were so well designed that they brought inherent accessibility gains. Siri shortcuts is another of those features. In my briefings with Apple at WWDC and since, shortcuts has been one of the first items they wanted to discuss. Like Group FaceTime and others, the company firmly believes in shortcuts' potential as an accessibility aid. Their enthusiasm is warranted: for many users with certain cognitive and/or physical motor delays, the consolidation of tasks can reduce friction associated with remembering how to perform a task and then doing it. In this way, shortcuts are the inverse of task analyses; rather than extrapolating tasks into their individual parts (e.g. tapping a series of buttons in an app), the Shortcuts app's automation turns them into a single step. (You break down steps when creating your own workflows, but that’s beside the point being made here.) Lest we forget about Siri; being able to use your voice to activate shortcuts is a boon for people with motor delays, as the “hands free” experience can be empowering. For disabled people, shortcuts’ focus on speed and accessibility can open up new possibilities in terms of what they can do with their iOS devices and how they do things. Throw in system accessibility features like VoiceOver and Dynamic Type, and the Shortcuts app becomes far more compelling than simply being a sheer productivity tool. I am far less prolific in my adoption of shortcuts than some people. Others, like Federico and Matthew Cassinelli, are far more well-versed in the intricacies of what is possible and, more importantly, how you chain certain commands together. My needs for shortcuts are pretty spartan. The shortcuts I use most often are practical, everyday ones I found in the Gallery section of the app. I currently have thirteen shortcuts; of those, the ones that are the most heavily-used are the laundry timer, tip calculator, and one for texting my girlfriend. While I have enjoyed spelunking through Federico’s work for esoteric, power user shortcuts, the reality is my work doesn’t require much automation. I typically don’t need to do fancy things with images, text, and the like. That isn’t to say these tools aren’t cool or valuable; they’re just not necessarily for me. For my needs, quick access to, say, the laundry timer is worth its weight in gold because I always forget to move my clothes. Consider another shortcut of mine, Play an Album. I’ve been listening to Eminem’s new album, Kamikaze, virtually non-stop since it came out at the end of August. Rather than manually launch the Music app, find the album in my recently played queue, and hit play, I can utilize the Shortcuts widget to play it with a single tap. The manual method is three steps which, while not tedious for me in any way, is more work. Going back to the task analysis analogy I used earlier, not only is Play an Album faster, it particularly helps me conserve precious visual energy I otherwise would have expended finding the album. For fine-motor skills, the shortcut also saves on potential cramping in my fingers caused by my cerebral palsy. Again, what can take multiple taps can be condensed into a single motion. For many, that’s a huge win. The same concept applies to sending iMessages to my girlfriend. Using the shortcut, what would normally be a multi-step process is reduced to a single step. The advantage for me is a matter of kinetics, but for others, the advantage very well could reduce cognitive load and increase executive function. Not insignificant. As is the case with stuff like Markdown and Apple Pay, technologies not built expressly for accessibility’s sake, the Shortcuts app is so well considered and approachable that anyone can use it, regardless of ability. There are no complicated settings or special modes; as Apple designed it, it just works as they intended it. That’s what makes Shortcuts’ star shine brighter. Yes, Apple is pitching it for speed and convenience. Yes, shortcuts can be as pedestrian or as nerdy as you want them to be. Above all, however, the Shortcuts app is accessible. It's an app that's reachable to the widest possible audience, turning its utilitarianism into something far greater. Everyone acknowledges the societal and technological effects the iPhone has had on the world. In late 2007, Time named the original model its "invention of the year," and rightfully proclaimed it "the phone that changed phones forever." Eleven years on, it is genuinely difficult to remember the world before the iPhone existed. Whatever your platform allegiance, there can be no disputing that the first iPhone pioneered the notion that everyone should carry a touchscreen supercomputer with them wherever they go. In hindsight, Steve Jobs wasn’t exaggerating when he boasted Apple would reinvent the phone. Like all Apple products, macOS is an accessible platform. 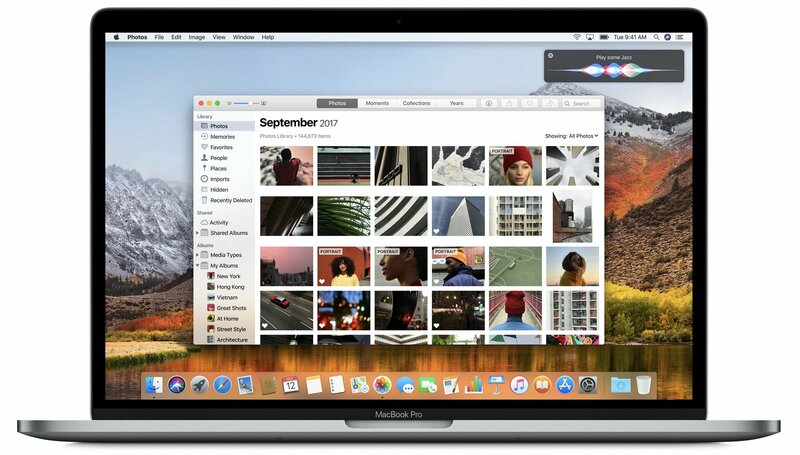 Blind and low vision users can navigate their Mac using VoiceOver, while someone who has physical motor delays can use Switch Control to edit videos in Final Cut. And under the Accessibility pane in System Preferences, there is a multitude of other features one can use, ranging from Zoom to Invert Colors to closed-captioning and more. Whatever your need, the breadth and depth of Apple’s accessibility software spans many domains. This is why Apple is lauded as the industry leader in accessibility: the tools run deep and they’re well-designed. Still, accessibility on macOS doesn’t quite reach feature parity with iOS. Amidst rumors that Apple is working on a cross-platform set of APIs to bridge the company’s two primary operating systems, now is an opportune time to consider what each platform does and what they offer one another. In the context of accessibility, the way Apple brings consistency between iOS and macOS is by sharing features and technologies among the two. As such, there are some iOS-first features macOS sorely needs, while the Mac offers things iOS would benefit from as well. Such enhancements would not only improve the user experience across devices, but also would make iOS and Mac software richer, fuller products overall. And most importantly, more accessible. People talk about how an Apple product such as the iPhone having a halo effect on customers. If you buy an iPhone and like it, the theory goes, you're more inclined to buy another Apple device, like a MacBook. This theory has certainly proven true in my experience – since buying my first iPhone (my first Apple product) in 2007, I've bought numerous other Apple products and subscribed to numerous Apple services in the subsequent years. Put another way, I was entrenched in the Apple ecosystem long before I started covering the company for a living. Recently, a different kind of halo effect has settled on me. I've been using an iPad Pro for the past several weeks, and absolutely love it. Like Federico, the iPad is my computer of choice because of my deep familiarity with iOS and the ways in which working from a touchscreen device makes computing more easily accessible.1 Coming from my old iPad Air 1, iPad Pro has intensified my affinity for the iPad and iOS in general. It has impressed not merely by its technical or software merits, but by one seemingly obvious thing: its screen. To my knowledge, the release of Night Shift in iOS 9.3 is only the second time in recent history Apple has updated iOS to include a change or feature that has potential accessibility ramifications. The other occurrence, in my mind, was iOS 7.1 beta 2, released in 2013. In it, Apple added a Button Shapes option to Accessibility as a way to assuage users who have trouble distinguishing an actionable button from a text label. Generally, however, any significant additions or changes to the Accessibility feature set comes included with a major new version of iOS. That is to say, the version Craig Federighi talks about at the annual WWDC keynote. Before getting into Night Shift's accessibility merit, it's worth examining why it exists. The impetus for Night Shift is better sleep. Apple explains in its marketing material for iOS 9.3 that a person's circadian rhythm can be disrupted by the "bright blue light" emitted from an iPhone or iPad's screen, making it difficult to fall asleep. What Night Shift does to combat this, according to Apple, is "use your iOS device's clock and geolocation to determine when it's sunset in your location." After gathering that data, the software then "automatically shifts the colors in your display to the warmer end of the spectrum." The end result is a display that's easier on the eyes, thus hopefully making it easier to fall asleep. (The display settings will revert to normal in the morning. There's an option to schedule Night Shift as well.) For more on why Night Shift is important and how it works, iMore has posted a good explainer on the feature. I've made the case more than once that accessibility, conceptually, is not a domain exclusive to the disabled. Certainly, persons with disabilities will always be the target market for accessibility features, but I think many fully-abled people overlook the fact that accessibility features can help them too. To me, the canonical example is larger text. Yes, something like Large Dynamic Type is a boon to the visually impaired, but it can also benefit someone with aging or tired eyes. In a similar vein, accessibility isn't solely about discrete Accessibility features. While a big part of my writing involves reporting on iOS' (and watchOS') Accessibility features and how they affect users, I do make an effort to focus and write on the smaller aspects of accessibility. That is to say, I try to find accessibility in less obvious places – for instance, how technologies like Touch ID and Force Touch impact the disabled. This concept has extended to my testing of the iOS 9 public beta throughout the summer. As I've gotten used to the new operating system on my iPhone 6 and iPad Air, I've come to notice several details that aren't intentionally for accessibility, but nonetheless make the experience more accessible (and more enjoyable). 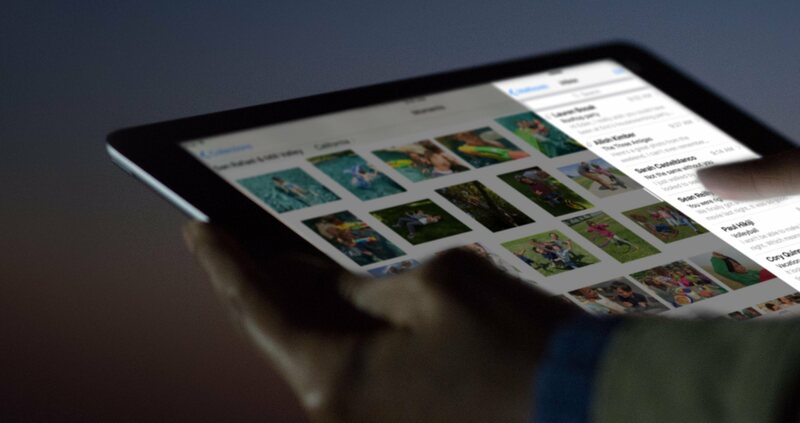 With that in mind, here are five "little things" in iOS 9 that stand out the most. Assessing the kinesthetic, tactile value of using an iPhone or iPad is just as important as assessing the software it runs. Speaking from personal experience, not only am I visually impaired but I also suffer from a mild form of cerebral palsy. What this means is, for me, the strength in my hands and fingers are substantially less than that of a fully-abled person. Hence, it takes much more effort to hold things — in this case, my iOS devices — as well as do things on my devices, like typing. Because of this, my approach to buying a new iPhone or iPad depends not only on 64-bit systems-on-a-chip and improved cameras, but also how the device feels in my hands: the weight, width, thinness, etc. What applies to iPhones and iPads also applies to Apple Watch. 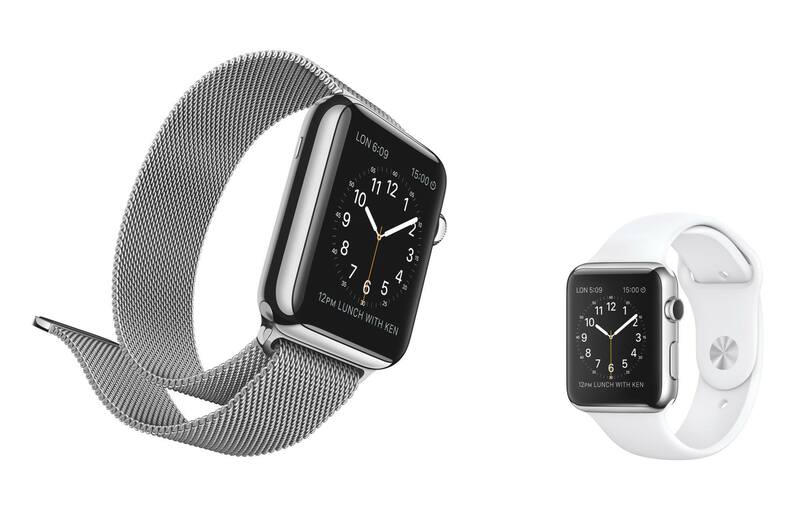 In the context of the Watch, the hardware that is most crucial, accessibility-wise, are the bands. To folks like me who suffer from motor delays, the ability to successfully get the Apple Watch on and off is as key to a positive user experience as the quality of the software it runs. Aside from keeping our iPhones in our pocket more, I think the Apple Watch is compelling for another reason: communication. The ways in which Apple is allowing people to communicate via Apple Watch – taps, doodles, and, yes, even heartbeats – is a clever, discreet new paradigm that epitomizes the company’s mantra that the Watch is the most intimate and personal device they’ve ever created. I, for one, am very much looking forward to trying these features. What’s even more compelling, though, in my view, is the engine that’s powering the delivery of said communication – namely, the Taptic Engine. Beyond its use for notifications and communication on the Watch, Apple has implemented its Taptic Engine in one other form: trackpads. Apple has put the tech into the new MacBook and the refreshed 13-inch Retina MacBook Pro. I had an opportunity to play with the Force Touch trackpad (about 30 minutes) at my favorite Apple Store here in San Francisco, and came away very, very impressed. I find Apple’s embrace of haptic feedback fascinating and exciting, because the use of haptic technology has some very real benefits in terms of accessibility. This topic (as well as QuickType) is worthy of its own standalone article, but the accessibility ramifications of iOS 8’s third party keyboard API are potentially huge for those with special needs. Four months later, that statement still holds true. Over the past few weeks, I’ve been using two such keyboards — Fleksy and Keedogo — in an effort to not only simply test-drive a new feature, but also to gauge the accessibility merits of the keyboards. While I’ve found Fleksy and Keedogo to be fine in terms of accessibility, even in the midst of testing them, I’ve found myself going back to Apple’s stock keyboard. In the end, that I don’t use any third-party keyboard as a replacement for the default one on my iOS devices is no fault of either developer — it’s Apple’s. Before explaining why it’s Apple’s fault, though, it’s important to discuss the virtues of Fleksy and Keedogo.